By encouraging cancer cells to change into normal cells, differentiation therapy could offer a very promising treatment option for cancer patients. It would also reduce the problems of toxicity of more conventional treatments such as chemotherapy and radiotherapy, which generally involve killing tumour cells. 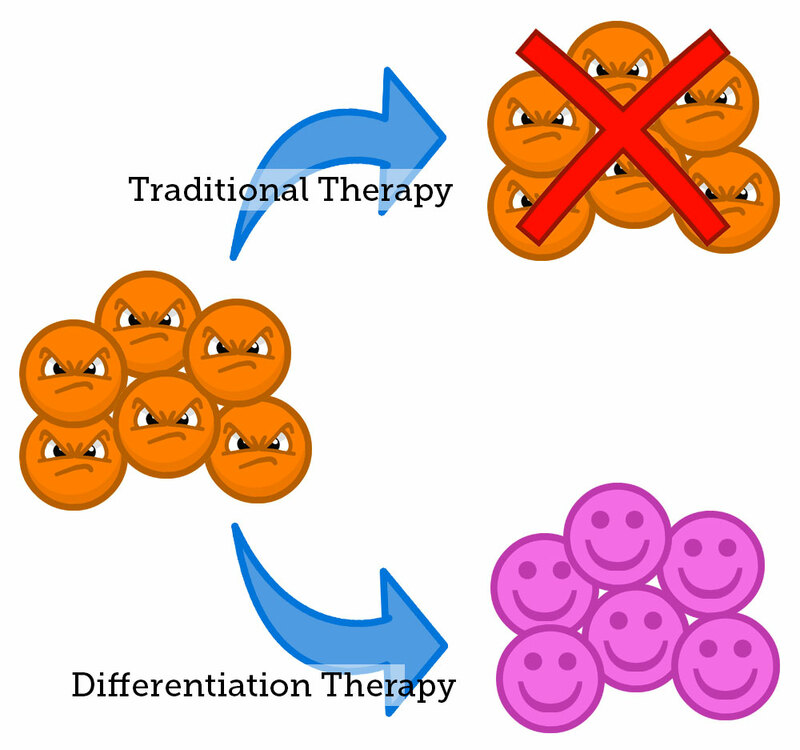 Differentiation therapy is an alternative that can alleviate this problem in the treatment of advanced cancers. At certain times, many cells in the body naturally undergo a process of differentiation, whereby they mature into a more specialised type. Poor differentiation is an important feature of cancer cells, and this kind of therapy is believed to hold great promise for cancer treatment. Certain drugs are applied to induce differentiation in cancer cells, which respond by reverting to normal or nearly normal cells. This reduces the tumour burden, or even cures the malignant disease without damaging normal cells. 1. To identify proteins that are able to differentiate certain cancer cells to normal cells. Progress: The team has optimised their experiment procedures for the very complex differentiation process to ensure that results are captured. Specific genes and proteins have been selected as markers. When the levels of these are altered, this is a reliable indicator that differentiation has occurred. The shapes of specific cell lines are also being examined. Certain brain cells in particular obtain a longer, more neuronal-like profile when differentiated. 2. To characterise various cancer cell lines according to different properties, including: their expression of key proteins and genes; and their ability to proliferate and invade. Progress: Six different cell lines have been collected and grown, as well as stem cells from brain cancer patients. The team has successfully identified different protein and gene expression levels between these cell lines. This can be linked to the ability to grow more, to invade other tissue, and ultimately to explain why some cells are more aggressive than others. Additional experiments with the various cancer cell lines are continuing, to gain more understanding of their characteristics and to allow further classification. Specific enzyme inhibitors will be selected and tested within the established experiment procedures, to ascertain whether blocking these enzymes can affect the differentiation of the cancer cells. This work will be scaled up with a screening experiment of all approximately 600 enzymes. The team is currently establishing a high-throughput experiment, which will use automation equipment with classical cell biology techniques, to examine simultaneously the effects of inhibition of each enzyme on the differentiation of cancer cells. To read more about PhD Student Rosemary Lane’s work on this project, click here.